The Groundbreaking ceremony on February 2, 2012, marked the start of construction of the new Information Technology (IT) Center. The UH Board of Regents adopted the “UH Strategic Plan for Information Technology 2000”, recognizing the need to provide a modern and reliable technical infrastructure for the University System. The “Long Range Development Plan – University of Hawai‘i, Manoa Campus, 2007 Update” identified the “ITS – Bilger Addition, Phase II” as the site for this new building. 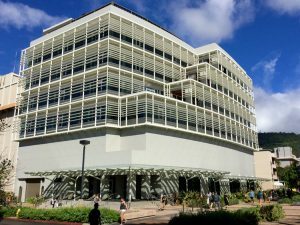 The 74,000 square-foot, six-story building has been designed to house all enterprise information and communications technology systems for all ten UH campuses and students throughout the state of Hawai‘i. 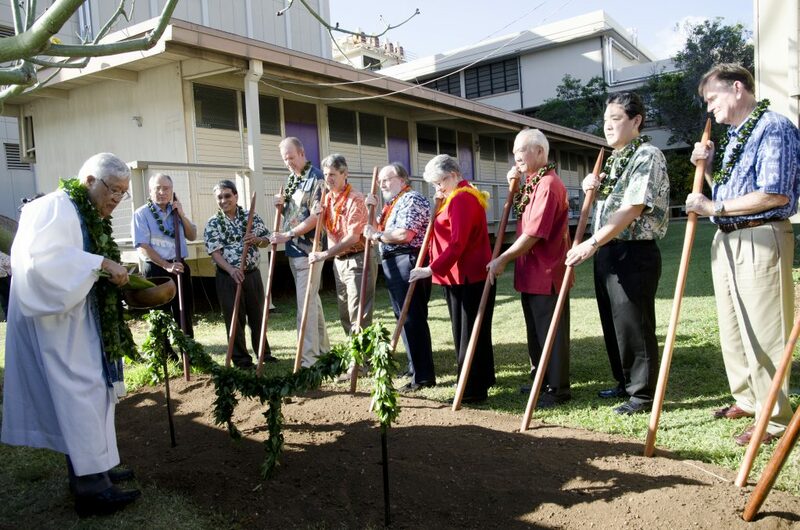 After the December 16, 2013 Dedication/Blessing ceremony, the full staff move in commenced on January 27, 2014. Critical building components include a 8,000 square-foot Data Center with Tier II redundancies (99.741% uptime availability) including backup battery and generator power, a 24x7x365 Information Technology Operations Center (ITOC), an Emergency Situation Room (ESR), and core building infrastructure all hardened to resist Category III (111-129 MPH) hurricane force winds and projectiles. The building also features two multi-purpose conference rooms that can be combined into one large room with video projection and ultra-high definition (4K) display panels, a 20 seat hands-on computer training room, faculty development workspaces, help desk services, and open offices and collaborative meeting spaces to support the approximately 260 Information Technology Services (ITS) staff and student assistants that work to support the UH Community. 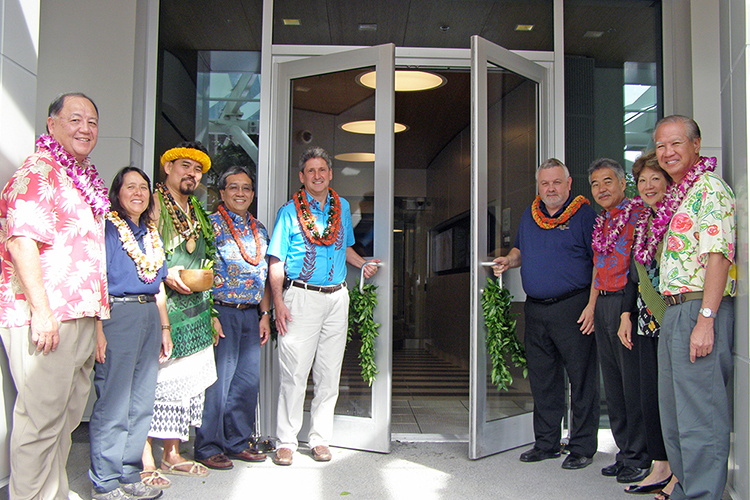 The building has received the 2014 GCA Build Hawai‘i Grand Award, the AMX 2014 People’s Choice Innovation Award, the 2015 NAIOP Kukulu Hale Award, and the 2015 American Council of Engineering Companies of Hawai‘i. (ACECH) Engineering Excellence Honor Award for its innovative design and construction. The IT Center incorporates a significant amount of sustainable features in its design and operation that are detailed on our Sustainable Building Design and LEED Certification information page. The IT Center is located immediately east of Bilger Addition on the University of Hawai‘i. Manoa campus at 2520 Correa Road, Honolulu, HI, 96822.